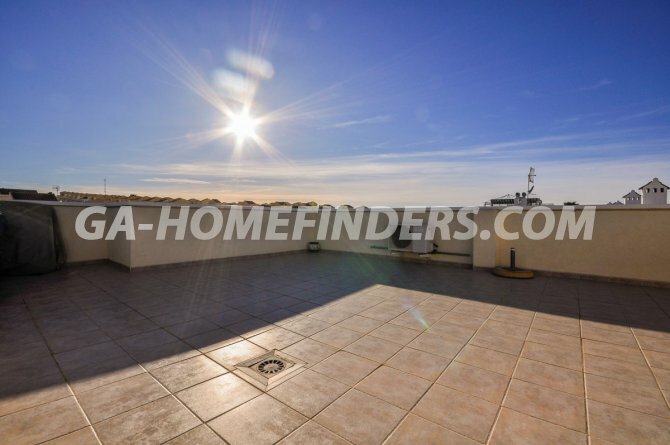 Top floor sunny corner apartment with 2 bedrooms and 1 bathroom, furnished and with kitchen appliances, independent nice size kitchen, air conditioning ( hot and cold ), ceiling fans, plus heaters in the bathroom, main bedroom and kitchen, built in wardrobe in the main bedroom, blinds on all the windows, partially glazed balcony, awning, south facing, solarium with beautiful views. 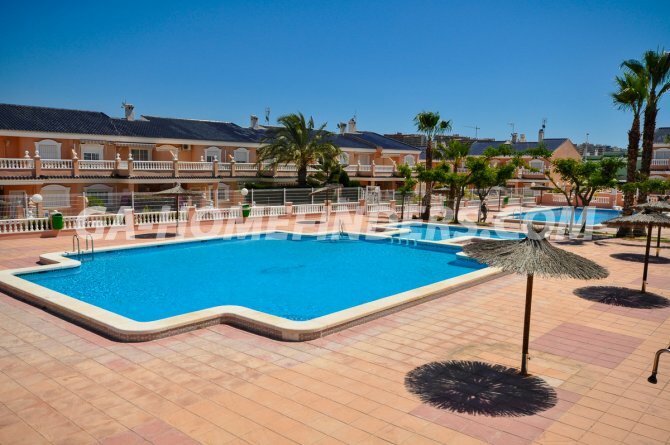 Located in a nice and quiet well maintained enclosed urbanisation with a communal swimming pools, tennis court and communal garden. 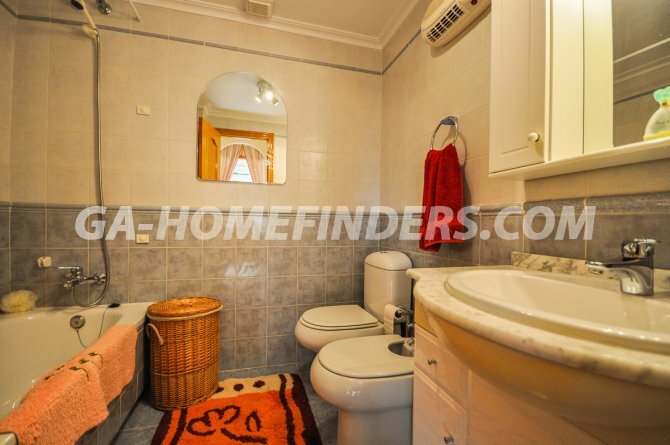 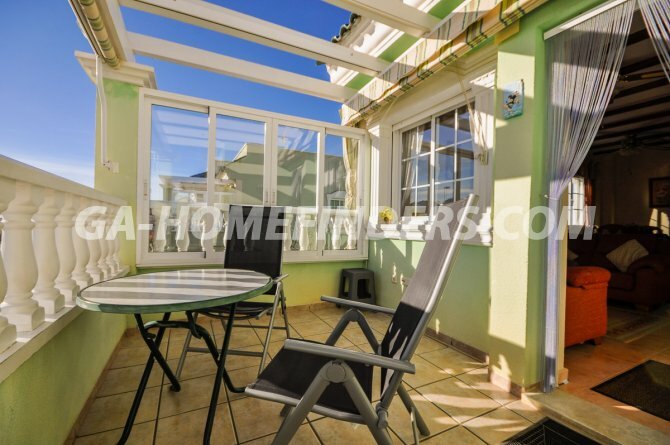 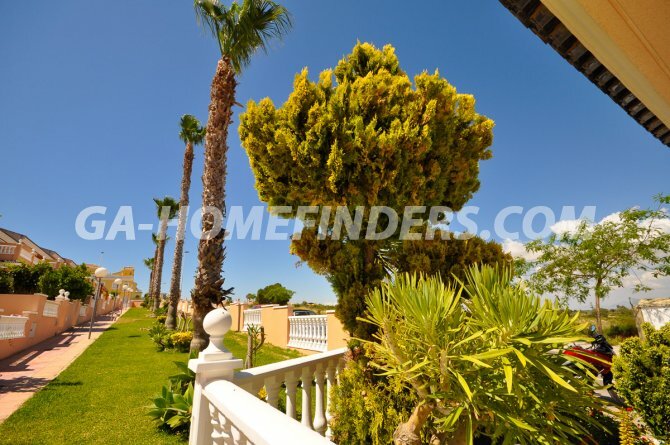 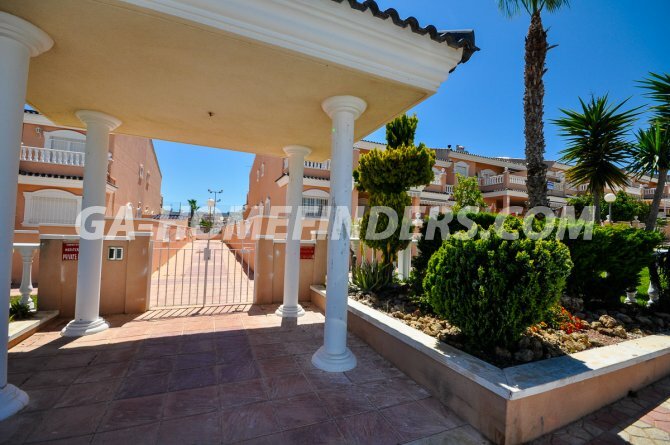 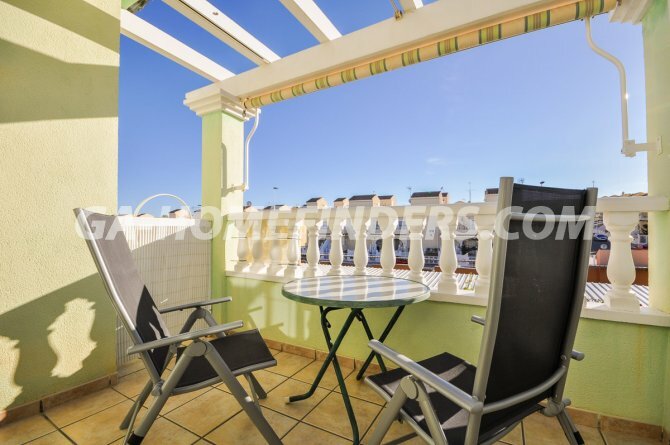 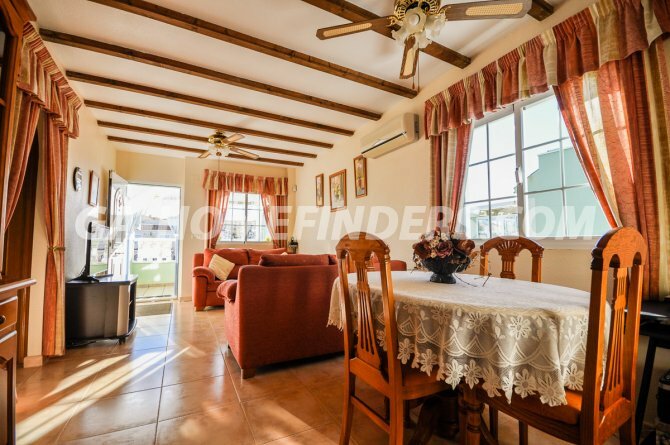 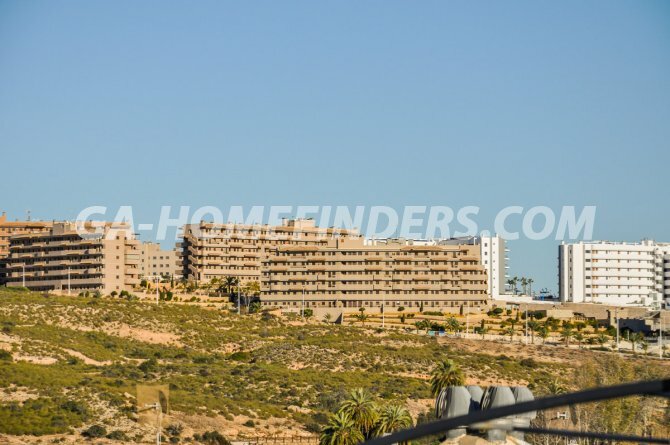 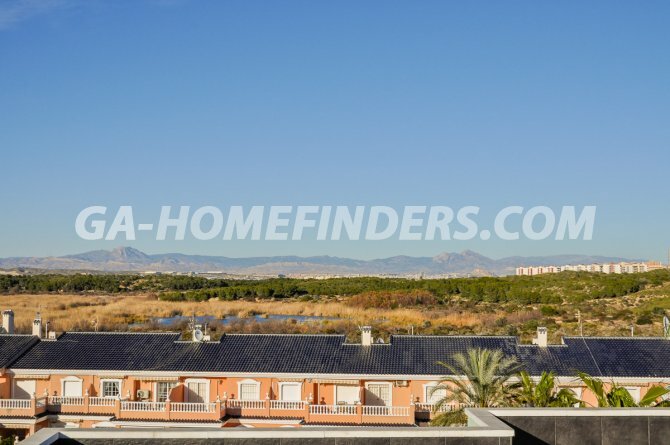 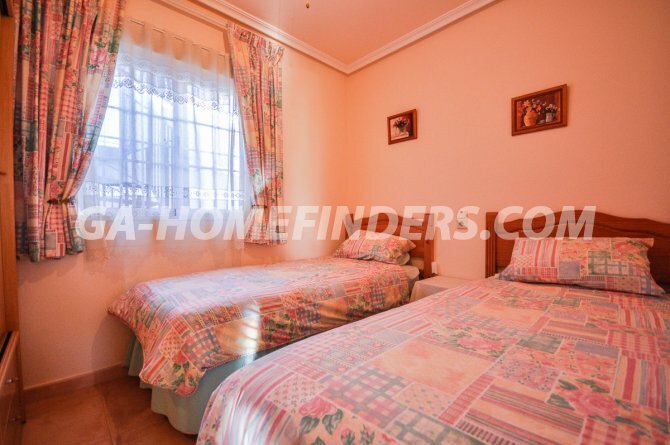 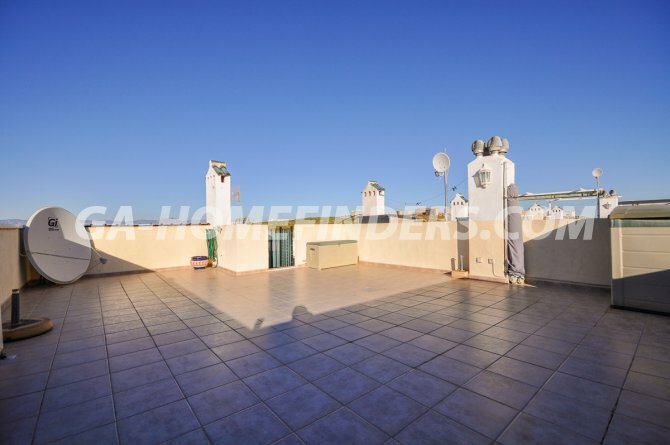 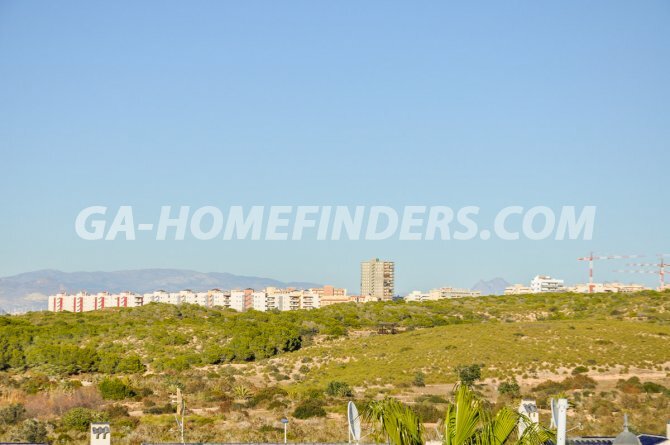 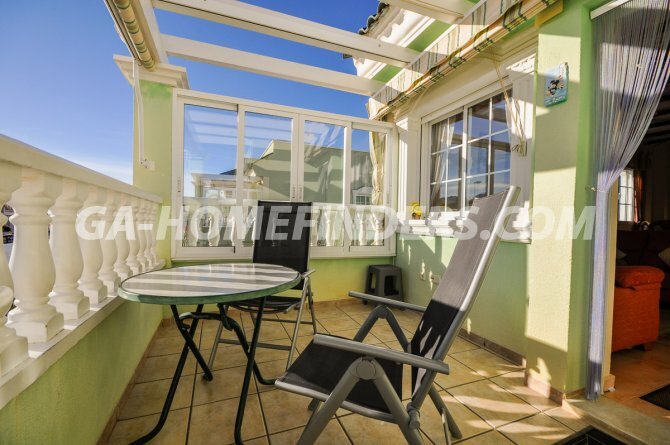 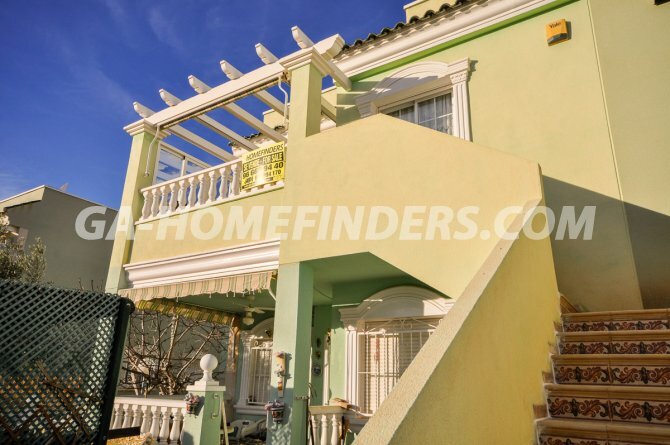 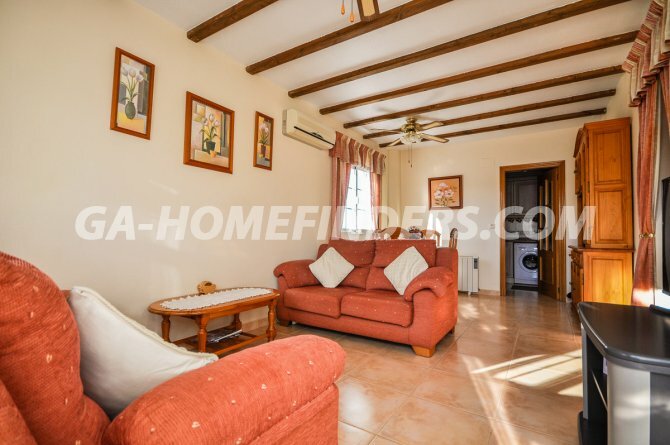 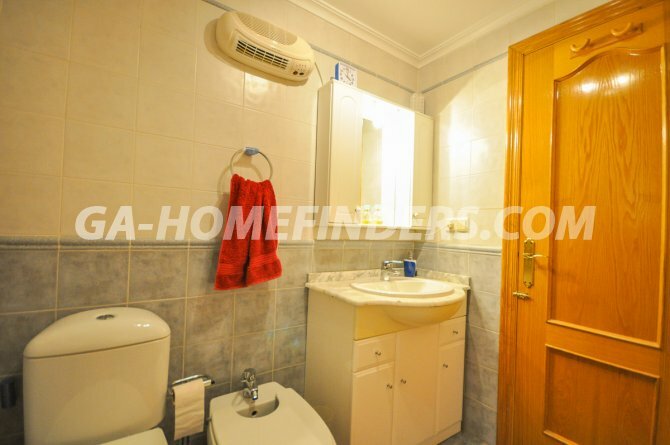 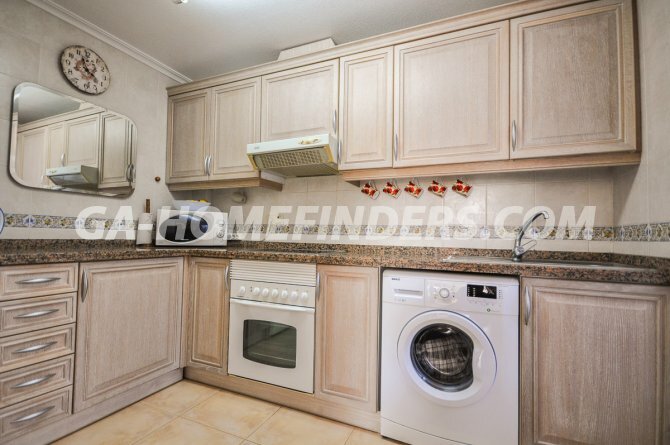 Situated in the lower part of Gran Alacant within walking distance from the restaurants and bars and the nature reserve park Clot the Galvany, near to Carabasi beach with all it´s facilities and only a few kilometres away from Alicante / Elche international airport.